NICKLE&DIME wrote: With the block being Iron and the heads being Aluminum, does this create a problem down the road for head gasket failure or warpage? Just wondering, I had this problem with my truck. Are you going to do any work to the cooling jackets? All the L motors are iron blocks with aluminum heads, as are the KA motors, etc etc...why would it now be a problem? Pretty sure that there will be no issues. 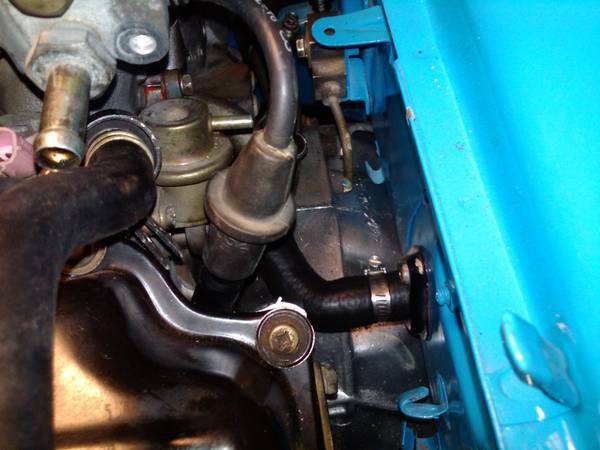 It is a pathfinder engine and nissan installed this VG series engine into many of its cars for over 20 years. vgwagon wrote: The pathfinder distributor fits fine in my car.....where was it hitting on your car? Yes. It cleared the intake. Maybe the issue is the motor mounts. 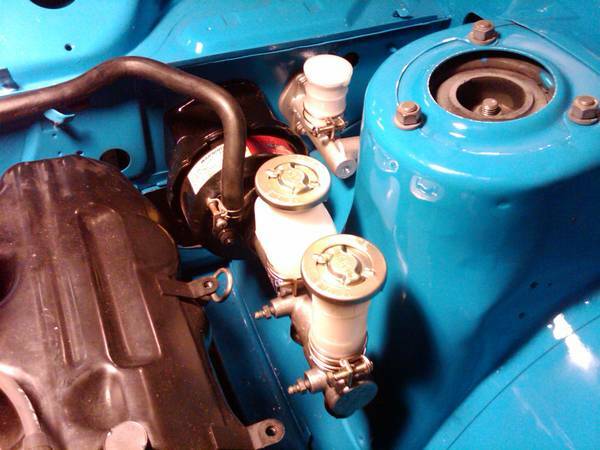 The team thump mounts have the engine sitting up pretty high. No biggy. The VG30 dizzy works and I can live with the coil mounted separately. Cool, I have a couple of 200sx intakes and was wondering about the pathfinder dizzy clearance with them. I might try running one and see if there is any difference performance wise. I wish my car looked as nice as yours. I was able to trim the drivers side 200SX exhaust manifold and the steering box a bit and now the manifold fits. This was great news as I really didn't want to go with headers. I figured out the heater hoses and made them fit. I replaced the VG33 dipstick with the smaller dipstick from the VG30. It looks better then that big yellow handle sticking out all by itself. I installed the manual clutch and brake pedals too. I removed the stock emergency brake handle and cable. I pulled the entire steering system; steering box, tie rods, idler arm, etc. I need to drain the steering box then clean, prime and paint it. I will be installing all new steer components. Tie rods, idler arm, and center link all with poly boots. I have started studying the FSM to try and make sense of the wiring. I think I have the route for the harness laid out. I plan to hide it as much as possible. I also got a big board to keep track of the project and started to break this all down into smaller projects. It is so good to be able to check off completed items. I have a section on there for items that still need to be purchased too. One problem I have is I need to paint so many small items and it is pretty cold to be doing it now. This will hold me up so I need to come up with a solution. The wife will go crazy if I paint the stuff inside the house. Any suggestions? That is all I can think of for now. I will try to take some pics and get them posted soon. .
Not ideal, but I paint stuff outside and let it sit for maybe 10 minutes or so and then bring it indoors. I put it in my guest bedroom, crack the window, turn on the fan and then stick a towel under the door to prevent fumes from coming into the rest of the house. Things are looking good! I am hoping to get to the Mitty one way or another...we shall see how the knee replacement shakes out...looks as though you'll make it! I spent a few hours in the garage today working on the car. 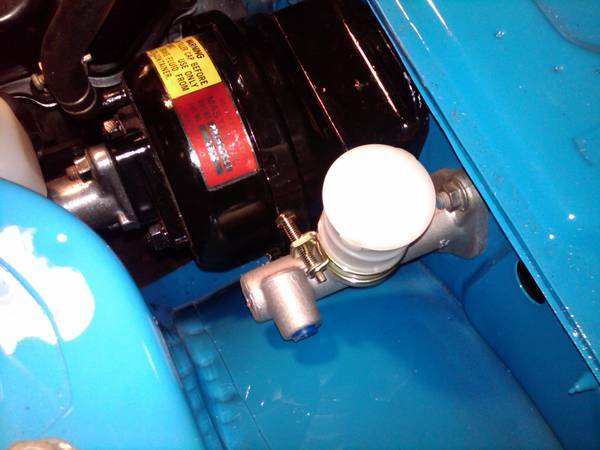 I got the clutch master cylinder installed and the B210 brake booster and the 280ZX 15/16" brake master. I will need to pull the brake stuff back out to bench bleed the master and install the steering box and exhaust manifold. 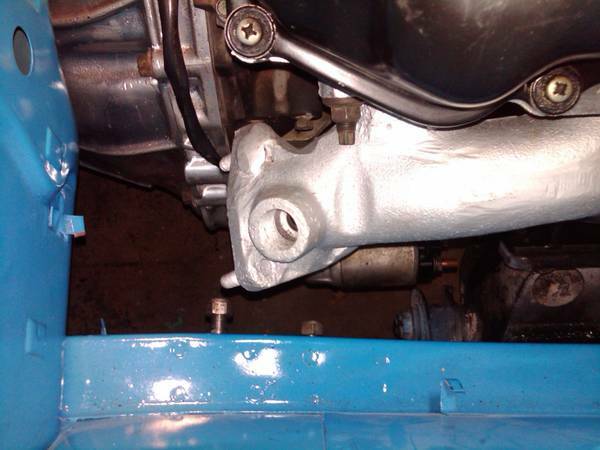 Clearance between the 200SX exhaust manifold and the steering box. I had to do a little trimming on both. 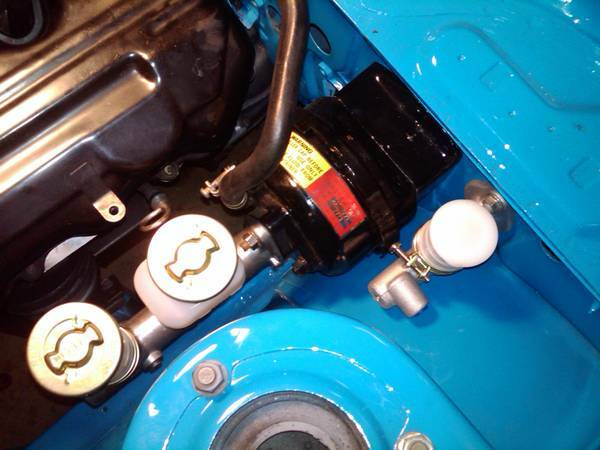 Clutch master cylinder, brake booster and brake master cylinder. I need to set up a small paint booth so I can clean up and paint a bunch of small parts like the steering box and the manifold and more. I got the garage up to a toasty 65 degrees today so I think that is warm enough to paint. I was working in a short sleeve shirt and it was 35 outside. My propane heater never used to be able to keep the garage warm but we got a new insulated garage door this past spring and it makes all the difference. Passenger side exhaust manifold. Lots of room on this side. I need to find a plug for that big threaded hole where the EGR stuff used to go. I was wondering if I could find an adapter that I could use to mount the O2 sensor there. Anyone know if this would be an ok place to mount the O2 sensor? 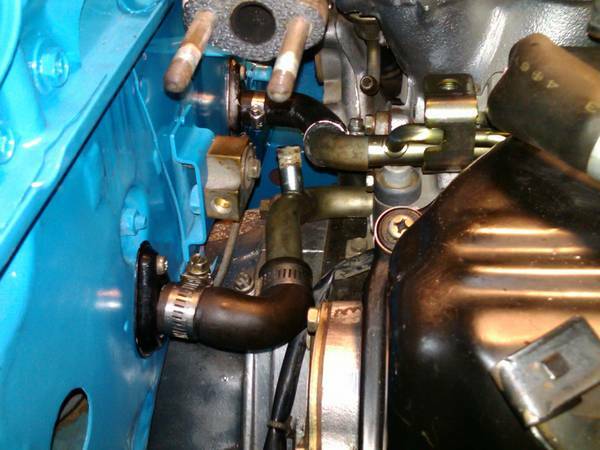 What transmission are you running behind the vg33? What kind of 5 spd is it? m33pm33p wrote: What transmission are you running behind the vg33? What kind of 5 spd is it? I have the 5 speed that came in my 1987 200SX VG30 parts car shown earlier in this thread. It bolted right up to the VG33. I know I am long overdue for an update. I will try to update this soon. qwik510 wrote: I know I am long overdue for an update. I will try to update this soon. The motor mounts were designed to place it in that position and there is barely enough room to get the heater hoses on now.I had thought about slotting the motor mounts a bit but because of the heater hose issue i went with a bit of grinding instead. I fixed the issue so not an issue anymore.